A common problem of modern city radioamateurs living in high-rise buildings is the roof antenna installation. That is why wishing to have a multi-band "rope" which doesn`t require so many attachment points as, for instance, "Delta" is quite natural. But even a simple antenna like W3DZZ or Windom still require at least 2 attachment points at your and neighboring house. 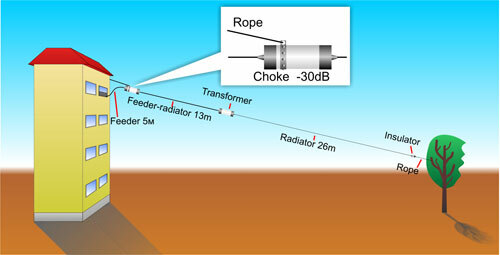 In that case the feeder entering the radioamateur window is difficult to install at the required angle close to 90 degrees if the radioamateur lives at the top floor. Than the only variant left is a Long Wire antenna. But it also has disadvantages as it needs a tuner and a good ground connection. The matching tuner must be always readjusted when switching from one band to another. Considering these problems I decided to design Windom free of the above disadvantages. 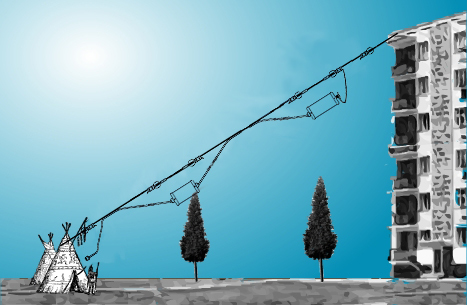 The new antenna`s feature is that the feeder and the radiating curtain form the integral unit. 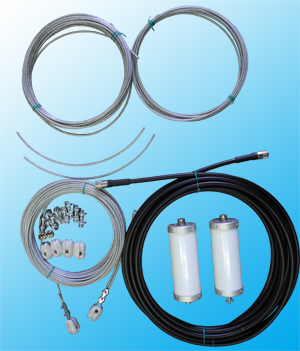 The locking throttle releases the radiator from the feeder at 30 dB, and the transformer 1:6 transforms 300 Ohm resonances at the bands of 80/40/20/17/12/10 meters to standard 50 Ohm. "The fly in the ointment" was band of 21 MHz insistently unwilling to work together with the rest. Some maneuvers in that band startup bring to naught the 40 meters band. The antenna well proved itself in operation. With the output of 100 W on 80 m band Europe reports at 59 in the evening; in the daytime within the radius of 200 km the communication is in VHF. Also, a decreased noise level of that antenna was noted in the reception mode, probably due to a short-circuited matching transformer. A good antenna operation in WARC bands must also be noted. The band of 17 m opening in spring already in February gladden with a number of exotic station from ZL and YB. 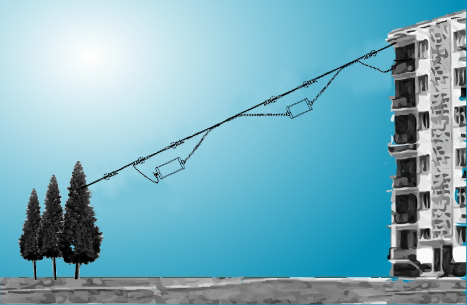 Field testing with suspension of a higher point on a tree of 15 m high also showed excellent results. QSO with ZD7 with the report 55 was especially memorable. high gain on high bands.